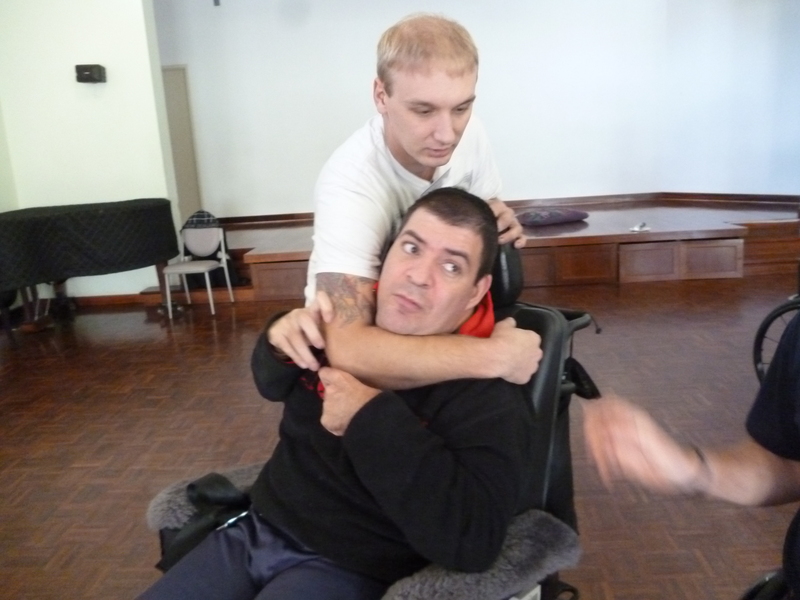 Since getting my black belt in Okinawan Goju Ryu karate in 1980 I have regularly taught self defense to both able and disabled persons. 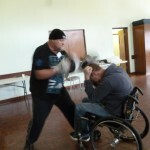 In 2011 I had the honor to be asked my Geoff (Tank) Todd to be part of a project he was working on, a ‘Wheelchair Self Defense Manual’ which is over 100 pages. 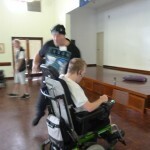 Check out this link which gives Geoff’s history. 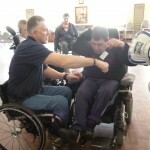 Since the publication of the book I have been approached to do courses specifically for wheelchair users. 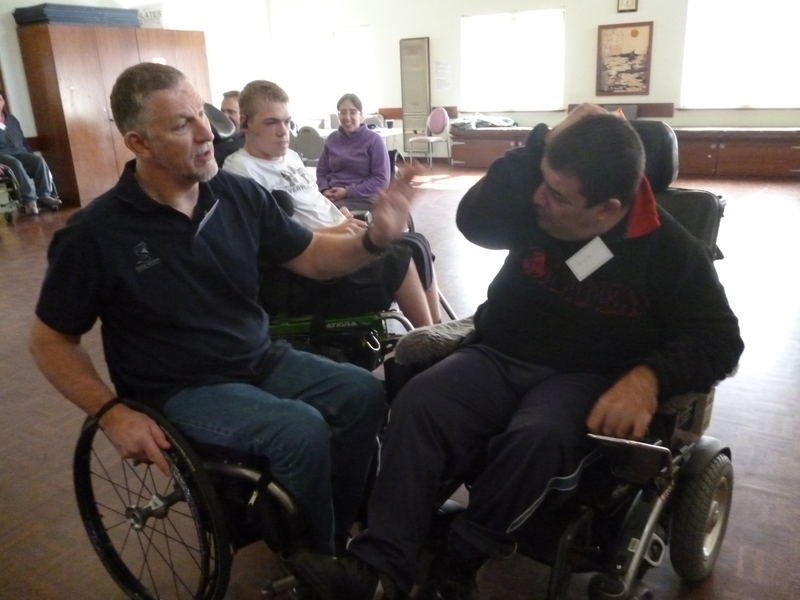 I have recently returned from Perth in Western Australia where I took two courses. 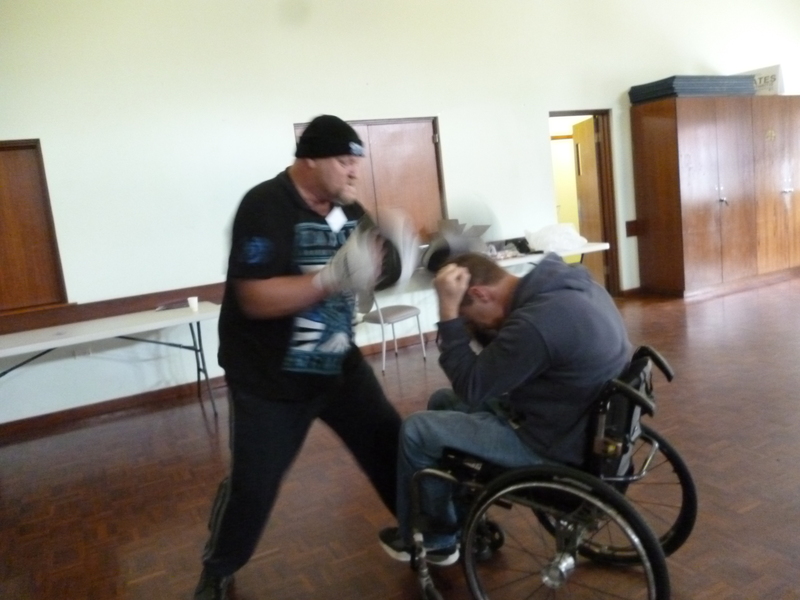 Below are some pictures from day 2. 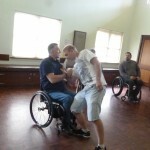 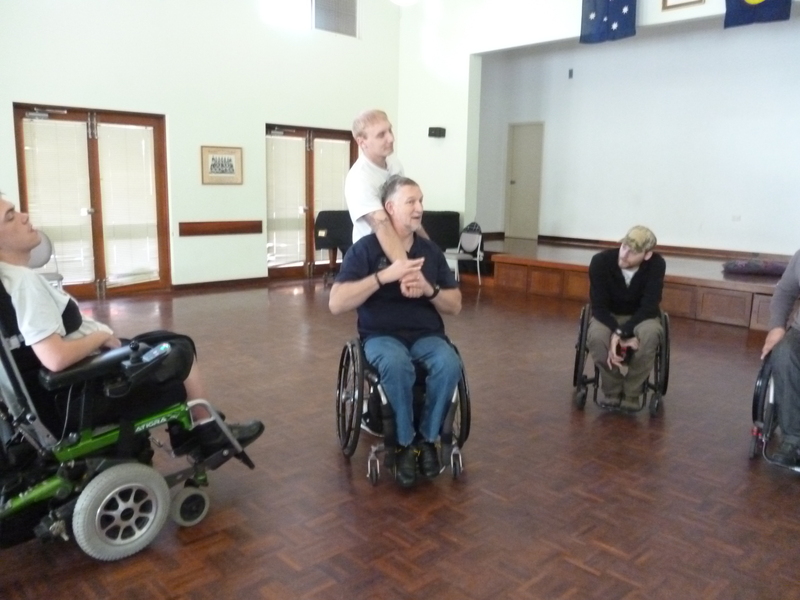 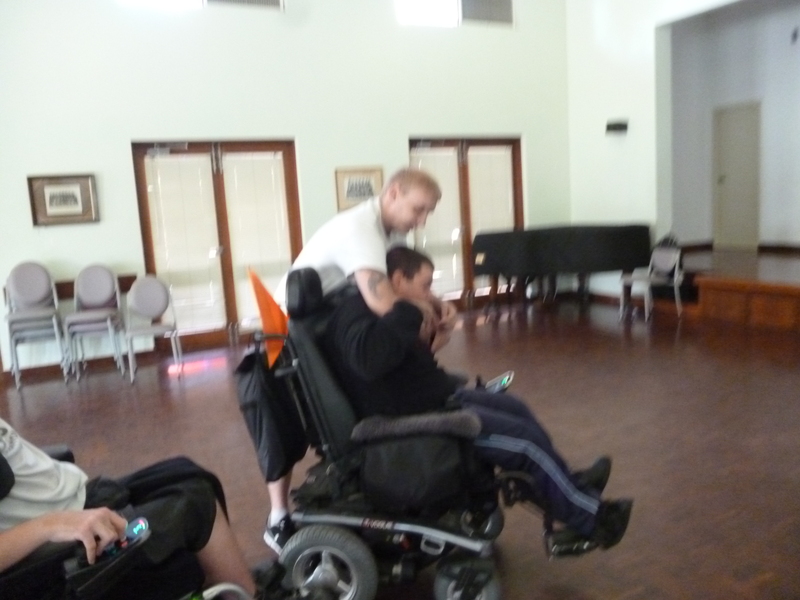 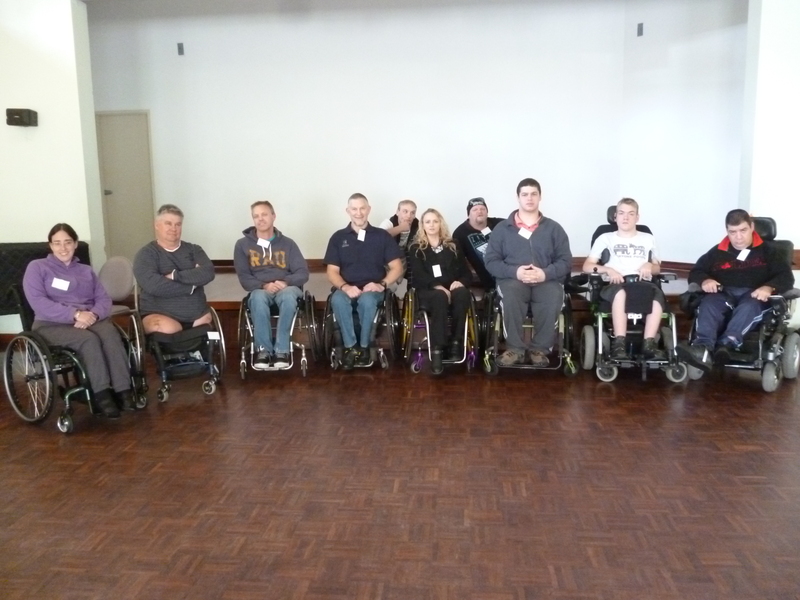 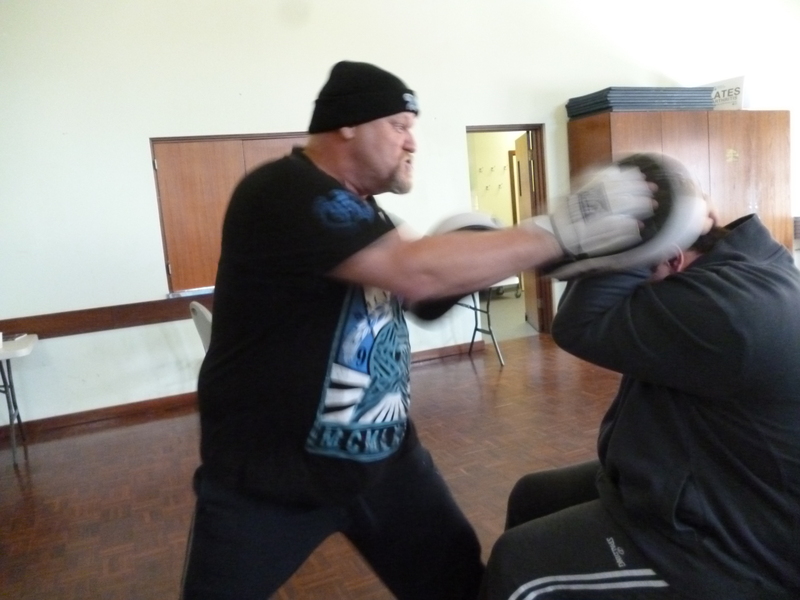 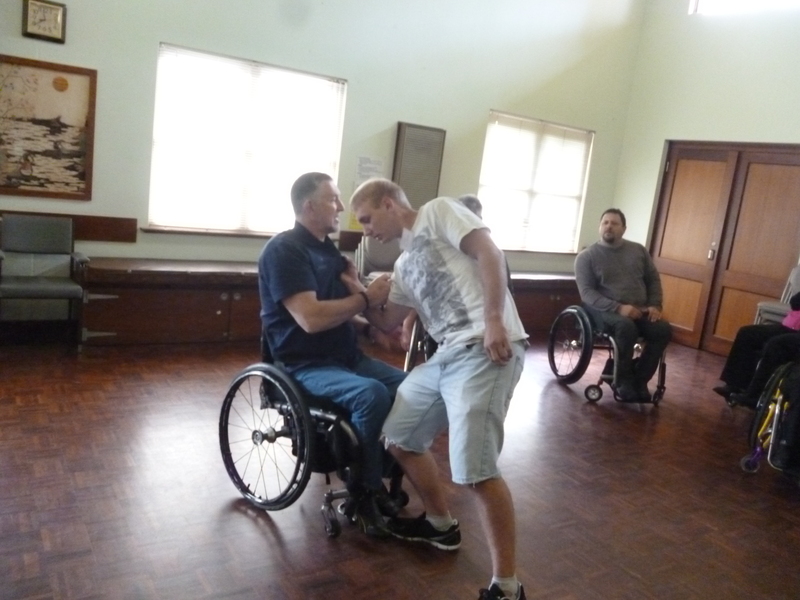 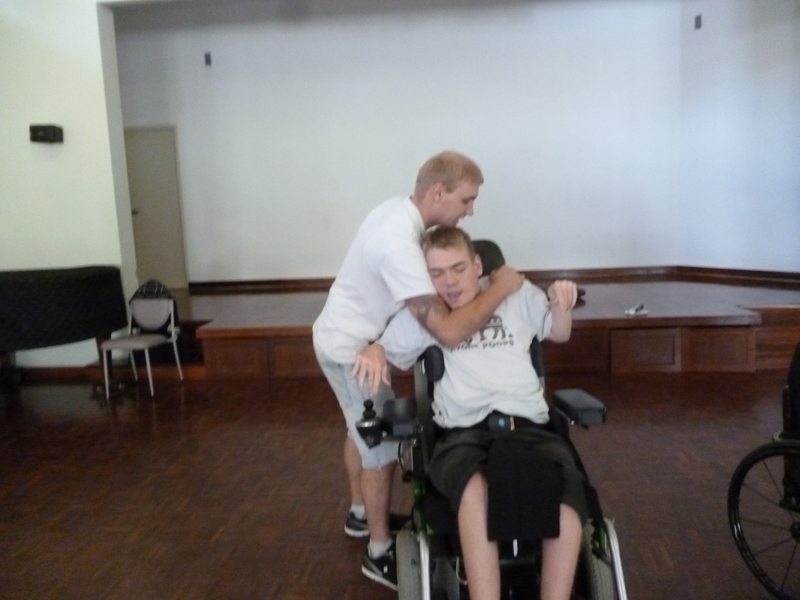 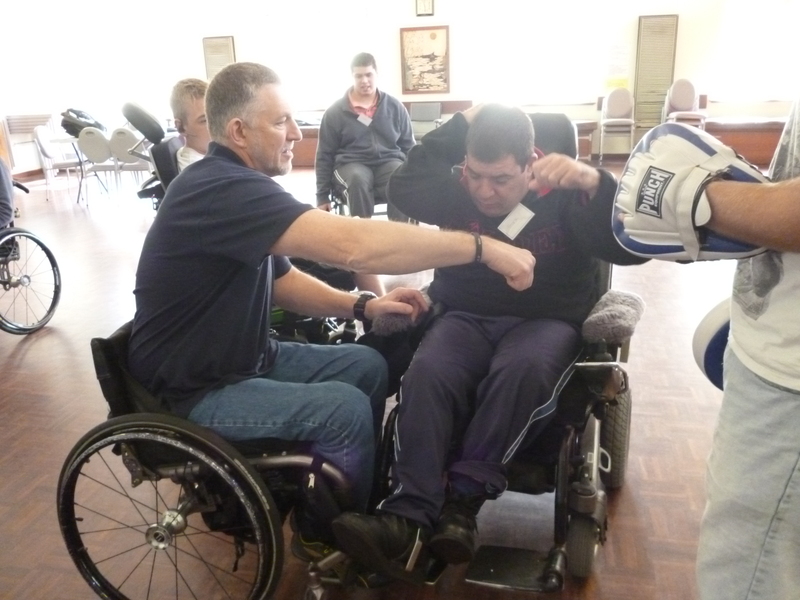 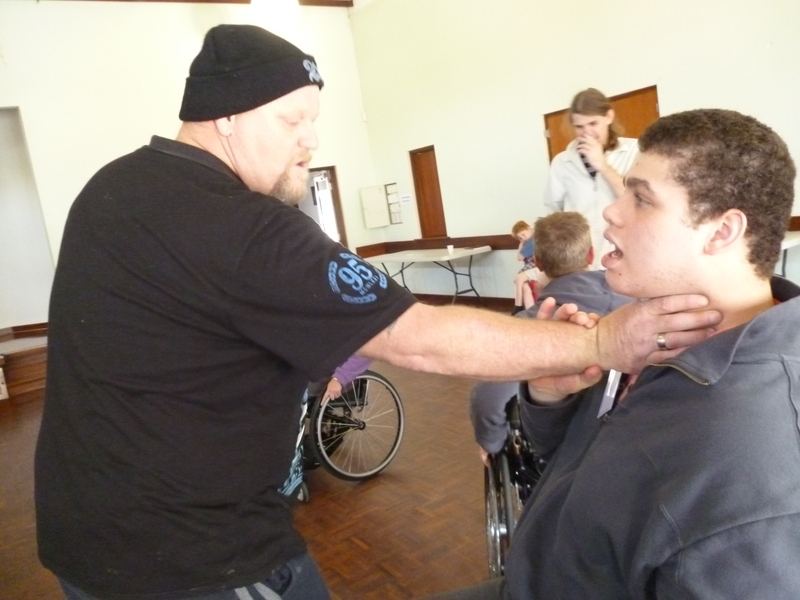 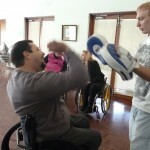 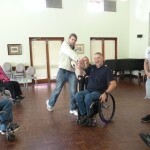 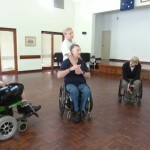 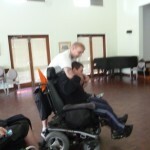 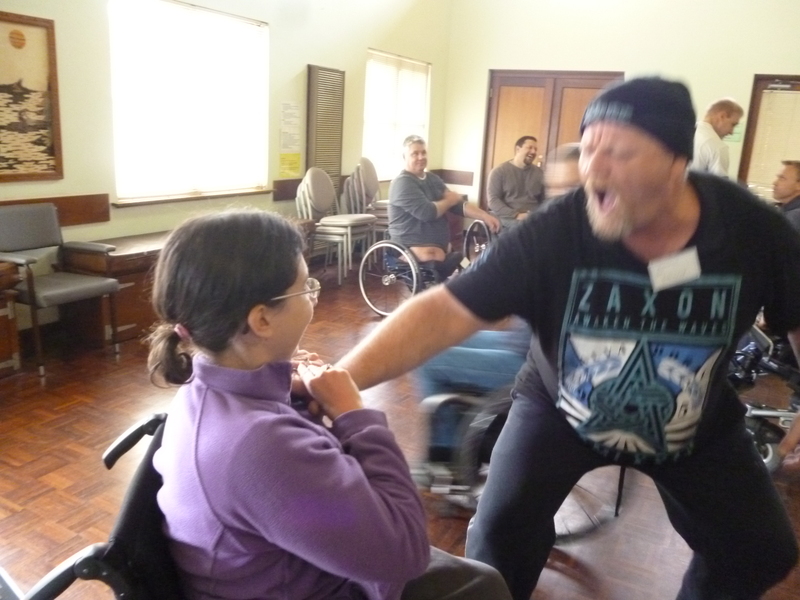 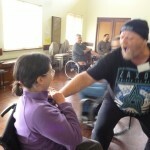 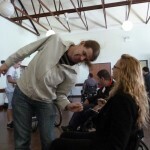 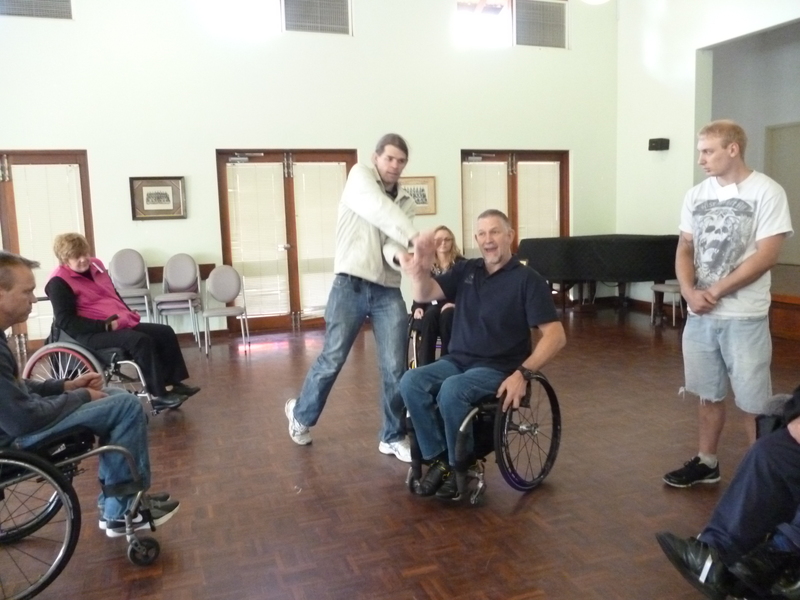 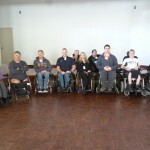 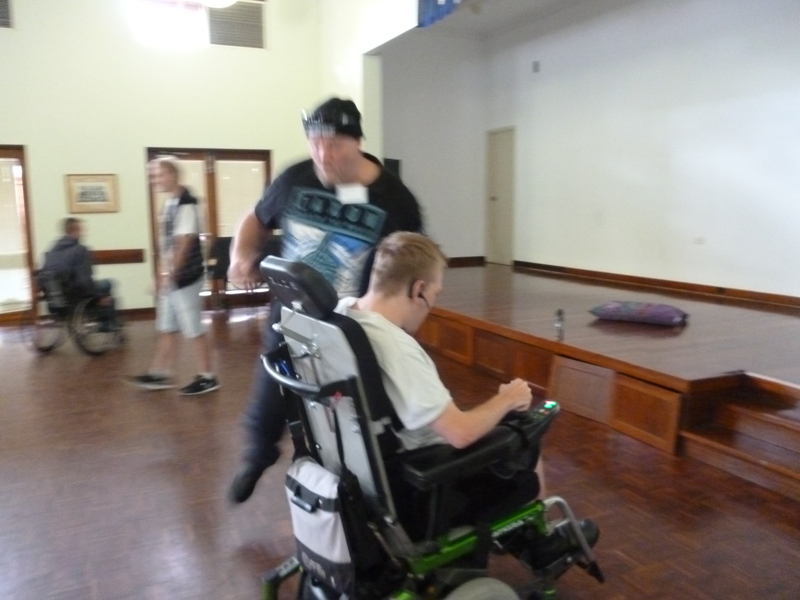 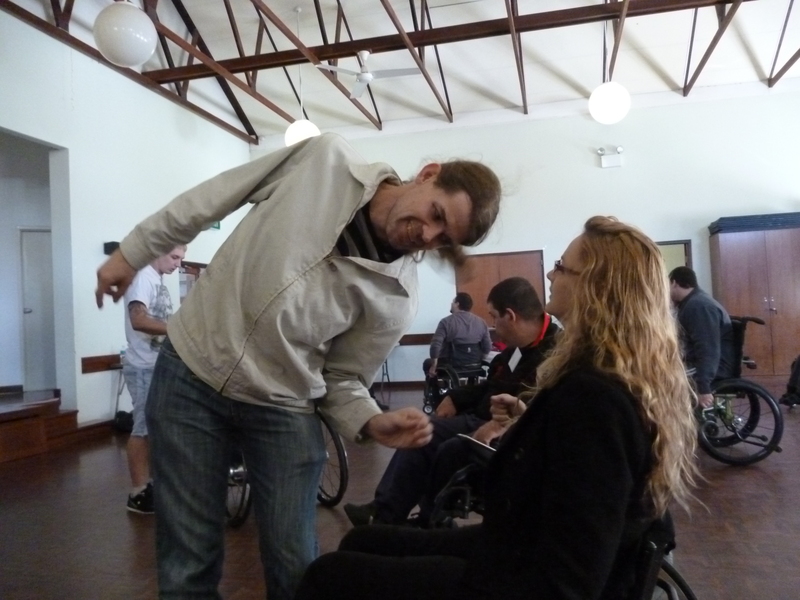 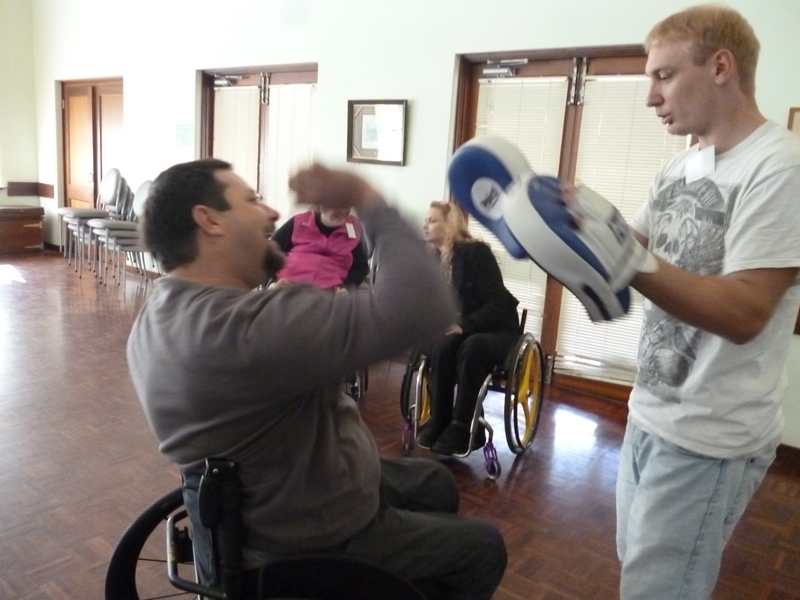 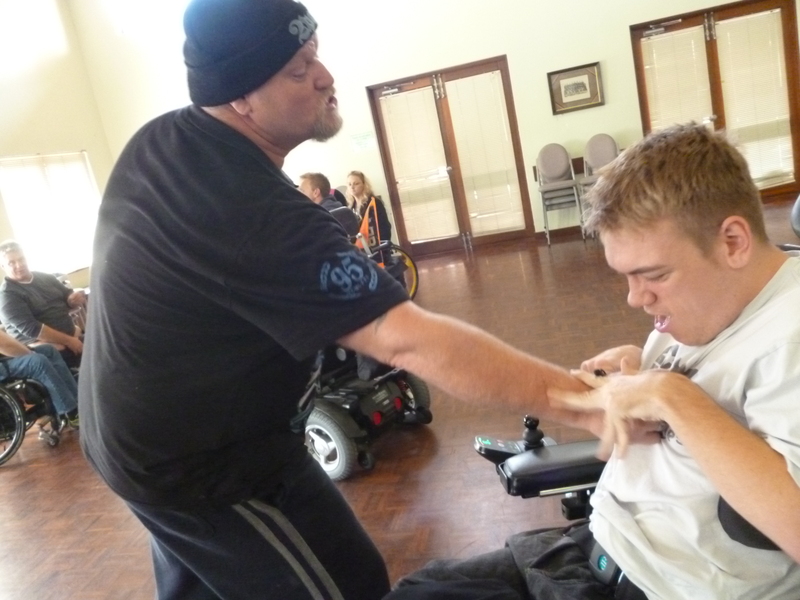 Taking a wheelchair self defence course in Perth, Western Australia.